Possession of a Controlled Dangerous Substance (CDS) in a motor vehicle is a common offense in New Jersey. This is due to the fact that the statutory designation of what is considered a controlled dangerous substance is extremely broad. Although it is common to think of a controlled dangerous substance as being limited to notoriously illegal drugs such as Marijuana, Cocaine, and Heroin. However, The State of New Jersey law also classifies prescription drugs like Xanax and Oxycontin as controlled dangerous substances as well. Though the mandatory fine for possession of a CDS might not appear terribly severe, the consequences of a conviction can be extremely harsh and long-lasting because you could lose your driver’s license for two (2) years. 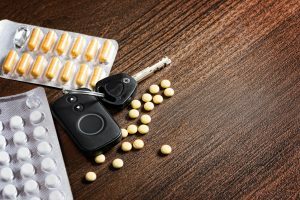 If you or someone you know has been charged with Possession of a Controlled Dangerous Substance in a motor vehicle in Monmouth County or Ocean County, New Jersey, consulting an experienced traffic and criminal defense attorney should be the highest priority. The Bronzino Law Firm provides compassionate, client-focused representation. We conduct a detailed investigation into the circumstances that led to your charges in order to provide you with the best and most effective representation designed to minimize your penalties, protect your driving privileges and, in some cases, get your charges dismissed altogether. If you have been charged with a criminal offense or been cited for a traffic violation in Brick, Toms River, Point Pleasant, Wall, Spring Lake, Sea Girt, Jackson, Howell or anywhere in or near Ocean or Monmouth Counties contact us online or call us at (732) 812-3102 for a free consultation. The State of New Jersey categorizes CDS by into Schedules I through V. These classifications are codified in N.J.S.A. 24:21-5 through N.J.S.A. 24-21-8.1. Schedules are primarily used as a way to classify drugs according to their potential for abuse and whether they are accepted for medical use in the United States. Schedule I drugs are the most addictive and the least accepted for medical use in the United States. Possession of a controlled dangerous substance (CDS) in a motor vehicle is a very serious traffic offense in The State of New Jersey. Moreover, a conviction for possession of CDS may result in suspension of your driver’s license for two years in addition to any criminal charges that you may face for possession of illegal drugs. Attorney Peter J. Bronzino has built his practice and reputation on the belief that each client deserves highly attentive and effective legal counsel. The small size of his firm allows him to give a high level of personal attention not found in larger firms. The Bronzino Law Firm, has extensive experience defending clients against traffic citations and criminal charges in Ocean and Monmouth County towns such as Wall, Jackson, Point Pleasant, Sea Girt and the surrounding communities. To speak with Peter Bronzino and our legal team today in a free and confidential consultation, please contact us online, or through either our Brick or Sea Girt offices at (732) 812-3102.